Research In Motion introduced two new smartphones for its BlackBerry handset lineup on Monday, each of which brings advanced features, and an operating system to better compete against Apple’s iPhone(s aapl) and handsets running on Google’s Android(s goog) platform. But it still feels like the device maker is buying time as it seeks a formula to win in the fast-moving handset market. The BlackBerry Bold 9900 and 9930 were launched at BlackBerry World, RIM’s (s rimm) annual developer event, held in Orlando, Fla. this year, but neither runs on the new QNX platform. Both phones will support a new feature to securely separate work and personal use on the handsets, while the PlayBook tablet also gains video chat software and a Facebook application. Depending on the model, support for HSPA+ data networks or CDMA/EVDO with GSM voice. The new handset internals are paired with the improved BlackBerry OS 7, but this software is not based on QNX, which RIM uses to power its PlayBook tablet. 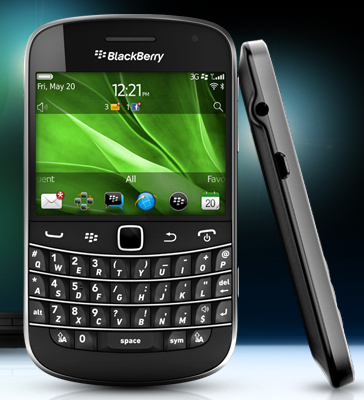 RIM has said it will transition its smartphones to the new QNX system in the future. For now, however, new Bold owners will make do with BlackBerry OS 7, which includes a number of performance and interface improvements as well as a faster Webkit web browser that now supports HTML5 video. The update platform also includes BlackBerry Balance, software that separates personal and enterprise data while maintaining the security and I.T. polices on the latter. BlackBerry’s PlayBook tablet also gets a little better with news today of a dedicated Facebook application and support for video chat. The software brings one-touch video calls or voice chat, incoming call notifications and support for both the front- and rear-facing camera of the PlayBook. At least initially, the video calling feature will be limited to calls between PlayBook tablets, although once RIM transitions to QNX for smartphones, the feature could extend to those devices as well. While I had hoped to see new phones already using the new QNX operating system running the company’s tablet, the two new handsets compare reasonably well to other smartphones in terms of hardware. But if RIM wanted to make a stronger statement, it might have brought QNX to these new handsets As it stands now, these appear to be more of a transitional product while the QNX effort continues. With the advanced hardware, RIM looks to be buying time until QNX arrives on phones and unifies the platform between handsets and the PlayBook tablet. The addition of the Facebook app on the PlayBook, however is promising and hopefully the start of some top-tier software titles arriving on the device. Based on my usage, the PlayBook has a solid foundation to build upon as there’s much to like, but consumers crave apps, so RIM still has work to do to get third-party software available for the PlayBook. Between the new Bold devices and a few improvements to the PlayBook, it’s clearRIM is taking a measured approach to take on competitors. Such a strategy could work well if RIM continues to deliver improvements on a regular basis, as the smartphone market is fast changing. RIM is doing what they need to do – expanding strengths in BES by supporting iPhone and Android and also bringing in the OS 7 to bridge the gap to QNX phones. IMHO Apple will not be doing much with their next phones anyways – QNX will be a bigger leap, that is for sure, one that MUST be done correctly or else that is it – RIM’s out of the cellphone wars! I almost feel sorry for RIM. The timing of this announcement right after the Bin Laden breaking news is probably not what their PR people hoped for. But on the other hand, maybe its a good thing people may not be paying as much attention to a lackluster hardware/software release. From a consumer perspective, I’d be hesitant to “upgrade” to one of these devices since QNX is supposedly coming soon. And given BB OS 6 devices can’t be upgraded to BB OS 7, one might infer these devices may not get an upgrade to QNX. Valid concern on the QNX compatibility, Travis. I have to wonder though: for RIM to basically turn all prior BB handsets into “legacy” devices (as they won’t see BB OS 7), I can’t see them doing the same for the new handsets going forward. That would be total PR disaster if these brand new phones can’t be upgraded to QNX. Based on the beefy specs, my gut says that these new phones will see QNX, but we’ll have to see, of course. I don’t think they’ll release any QNX phone until 2012, and at best for holiday season this year. They leaked some phones a while ago that are supposed to come out in September/October this year and they don’t have QNX on them. I think they also had only 1.2 Ghz CPU’s in them, which by the end of the year might seem pretty obsolete, when quad core Tegra 3 and 2 Ghz dual core phones(Samsung) will appear. You could be right on the delivery date, Lucian. Do you think a QNX handset (or range of handsets) by 2012 is too late? I’d like to see them sooner rather than later as they’ll integrate better with the PlayBook; something HP will likely deliver sooner with the TouchPad and webOS handsets.